It’s Monday, and Apple’s WWDC 2018 keynote just wrapped up. With this, iOS 12 beta has been released to developers. Today, Apple has released iOS 12.0 beta 1 to developers, which contains tonnes of new features. Anyone can download and install it right now by either downloading the IPSW file and installing it with iTunes or updating over the air on your device after installing the OTA profile. For those who have already updated and have decided they’d rather stick with iOS 11 for now, you can downgrade your device back to the latest version of iOS 11 easily. 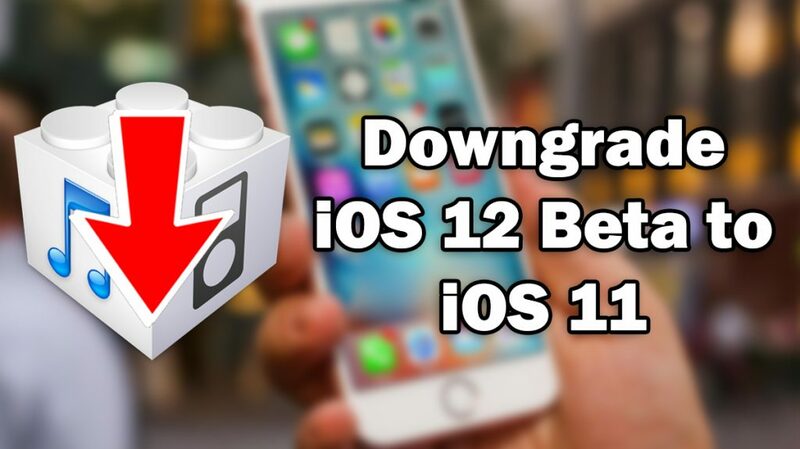 You will need to download the iOS 11 IPSW file you wish to downgrade to from here. Download the iOS 11 IPSW file from here. Open iTunes and select your iOS device in the top left-hand menu. Hold shift (Windows) or Alt/Option (Mac) on your keyboard. While you are doing this, click the ‘Check for Update’ or ‘Update’ button. This will prompt you to select the IPSW file you wish to install on your device. Select the iOS 11 IPSW file you downloaded before. Your device will now begin to downgrade to iOS 11. Can I downgrade iOS 12.1 to 10.x?